George Aperghis was born in Athens and moved to Paris in 1963. He has pursued an unusual career, dedicating himself to composing instrumental and vocal music as well as musical theater and opera. 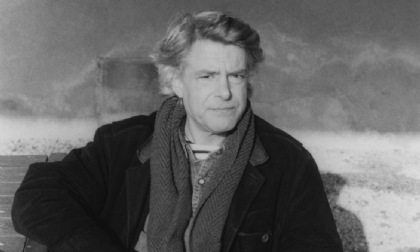 In 1976 he founded the Atelier Théâtre et Musique (Atem). In that context he revised his approach to composition, working together with musicians and actors at the same time: the performances are influenced by events in society that are translated into the world of lyricism, sometimes tinged with absurdity or even satire. Indeed, since the early 2000s, classifying Georges Aperghis’s works in three distinct domains is more confusing than ever because of their very nature. Die Hamletmaschine (2001), an oratorio based on Heiner Muller’s work; Dark Side (2004), a "monodrama" based on Aeschylus’ Oresteia; Avis de tempête (2004), an opera; perhaps even Wölfli Kantata (2006), a cantata after Adolf Wölfli’s writings; or Happiness Daily (2009), for soprano, mezzo-soprano and ensemble; all of them challenge the issues of drama, of performance, of staging, and they illustrate the freedom with which Georges Aperghis plays on classification and genre, in the performing arts as well as the theater. A prolific composer with a never-ending inventiveness, Georges Aperghis is building a very personal corpus of works, serious and humorous at the same time, rooted in tradition as well as free of institutional constraints. Knowledgeably opening up unexpected horizons of vitality and ease for his performers, he skillfully reconciles the sound and the visual, as much as he broaches issues embedded in the tragic or derisory aspects of his time.